Sorry we've been out of touch; we've been just about everywhere. Kentucky, Tennessee, Alabama, Missouri, New York ( Brooklyn,) Virginia, Pennsylvania. That's what spring is usually like for us. No travel or weather disasters to report. 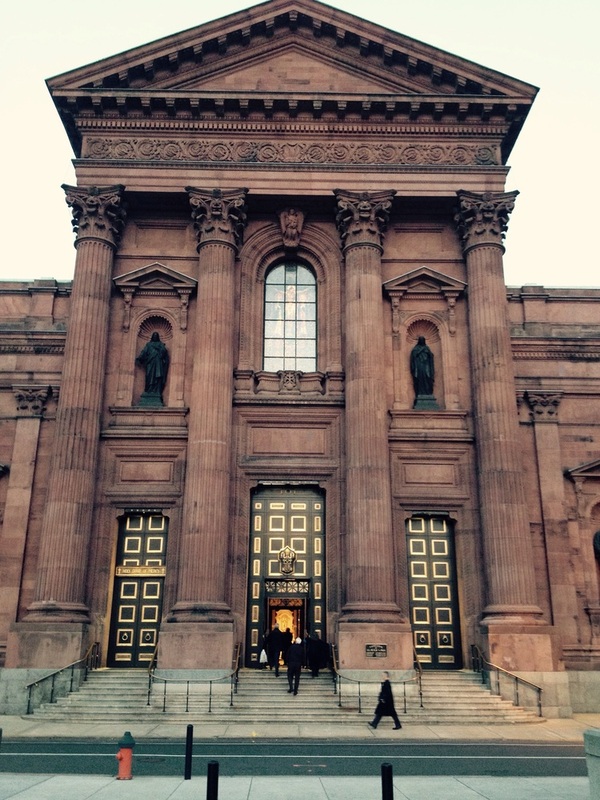 Tonight we sang our sacred program "Washing of the Water" in the impressive mid-l9th century Cathedral Basilica in Philadelphia, a city we don't appear in so often. 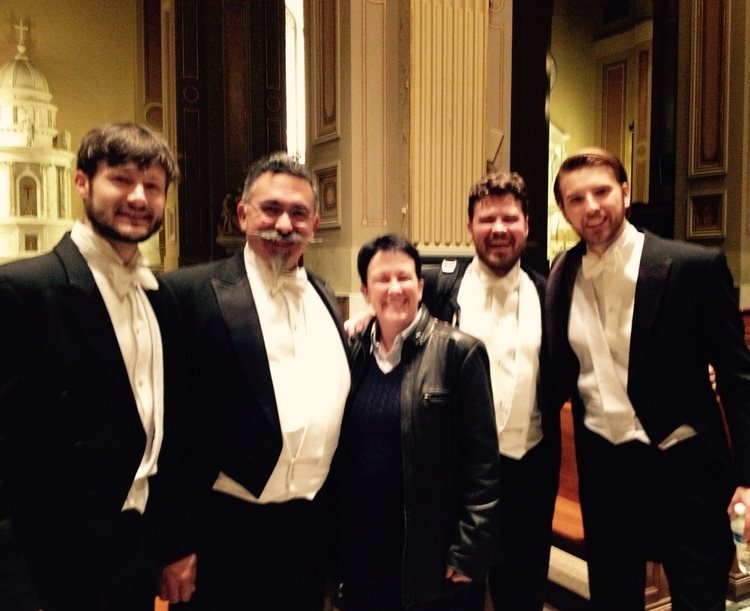 Composer Jennifer Higdon came to see us. We hope to be seeing more of her soon. Tomorrow evening a private event in Manhattan, then HOME to perform at Sonoma State University's Green Center on Friday night.